This review is sponsored by Farm Fresh To You. I received a box of fruits and vegetables to facilitate my review and all opinions are my own. 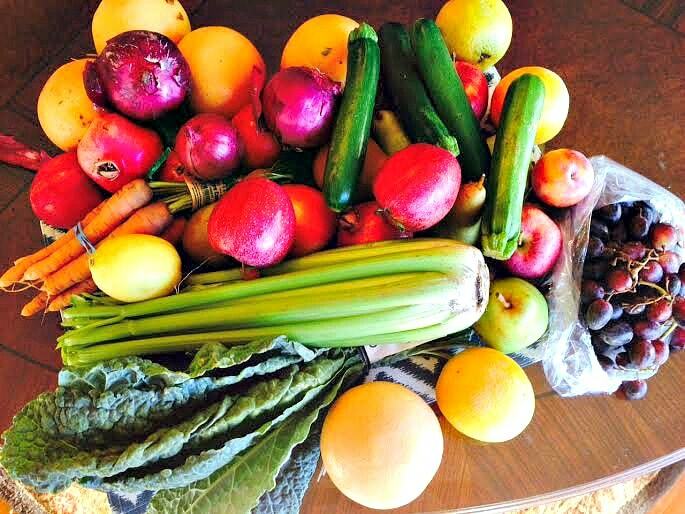 I have never had someone pick out my fruits and vegetables for me, have you? I was a little reluctant to give up control of my handpicking, squeezing and examining. My husband and I consume a lot of fruits and vegetables. Each of us has a smoothie every day and we often have a snack of fresh fruit several times a day. Our meals usually consist of a lean protein and a vegetable or a salad. Sometimes we are at the market three times a week to stock up on fresh fruit and produce. When you think about it, that is a lot of time and gasoline. Farm Fresh To You contacted me and asked if I would review their produce delivery service of organic fruits and veggies, and I was excited to give it a try. All of their produce is farm certified, natural and organic and is grown on their farms in southern and northern California. If you are located in California, they have several delivery options you can choose from. I chose the Regular Mixed Fruit and Veggie Box and then went online to customize it even more. You can also get a No Cooking Box, a Fruit Only Box and a Veggie Only Box. Not only can you select the box type, you can also choose the size and delivery frequency that best fits your lifestyle. You can have your order customized or delivered weekly, every other week, or every 3 to 4 weeks and you can change your delivery service as your needs change or if you are going on vacation. Their website is simply to navigate and their customer service is very helpful. In my order, I got 7 Gala Apples, 3 Bartlett Pears, 3 Valencia Oranges, 1 Red Onion, 1 Red Plum, 3 D’Anjou Pear, 5 Ruby Grapefruits, Nantes Carrots, Assorted Kale, Celery, 1 Eureka Lemon, Black Grapes, Zucchini and Red Pomegranates. I hope you can tell from my photograph how delicious and fresh the order was. My husband and I made it a point to enjoy everything while it was at peak freshness. That is the beauty of the customization option, you can change up your order base upon your meal plan or your schedule. Everything was packed securely in a sturdy reusable box. Packed inside you also get a newsletter with tips from the farm and recipes. For years, I worked in a medical office and the lunchroom was full of sweets, junk food, and temptations. If you didn’t bring your own food, it was easy for me to succumb to temptation and regret it later. With FarmFreshToYou, your order could be delivered straight to your office so you could have healthy options for a week at a time. 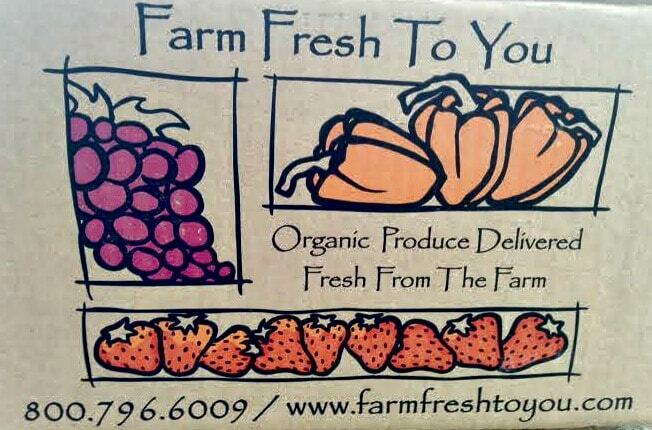 To learn more about this California based, subscription delivery service for organic produce delivered to you, visit their website at FarmFreshtoToYou.com.